Wow, that's quite a lot of items, and there simply isn't enough time to re-add them all to WMP. Could you please list the ones (5 or so) that are the most important to you? Also, I currently don't have any plans to add features to the sync, burn or rip functionality of WMP, so only library and playback enhancements will be considered. Hey Tim, I've been having a few issues with WMP+ on Windows 7 Pro x86 (Core Duo). When the option to display the track metadata in the window title is enabled, WMP's UI freezes sometimes when a new track that has been added to a Watch folder but not yet automatically detected and added by WMP is played. Since this happens a lot when I add new media to my home PC, I've disabled it there. The plugin works just fine on Vista Ultimate x64 though (Core 2 Duo). Thanks for reporting this. Have you changed the format of the title bar text, or is it still set to the default (%title%[ - %artist%] - Windows Media Player)? How exactly are you starting playback, by double-clicking the track in Explorer? What's the file type of these tracks? Are there any other WMP plug-ins loaded? For now, I have been unable to reproduce this problem on my Windows 7 system. I first tried to copy a music file into the My Music folder, but WMP added the file to its library before I had a chance to start playing it. Then, I removed a music folder from the monitored folders list, and re-added it. While WMP was adding the files back to its library, I now had a chance to play some files that weren't added yet, but still no hang. Hey Tim, any possibility of extending tag editing to Matroska videos? That's more a suggestion for WMP Tag Plus than for Windows Media Player Plus!, but no, there currently are no plans to add Matroska tag support to WMP Tag Plus. If you are a developer, you could write such support yourself, by making use of the Tag Support API. I have noticed sevaral bugs with WMP11 XP SP3, though. 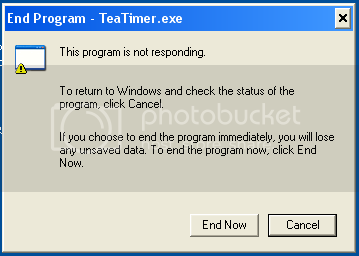 a. Comp Restart hangs, until Task Manager\AlarmClock.exe\End Process is done. b.Right, or double, clicking on AlarmClock tray icon does nothing. One con get to AlarmClock props in WMP options. c. This happens even when WMP Plus! is disabled in WMP. 2. DW20.exe and DWwin.exe toss errors on comp shutdown. These indicate they never initialized properly to begin with. 3. These all go away, when WMP Plus! is uninstalled. I suspect it ties in with Dr. Watson error reporting issues and altered WMP Plus! Error panel. This happens even when these options are unchecked in WMP Plus! options. Since this is a semi-independent plugin which runs without wmplayer.exe, it may tie in with shell extension issues from WMP Plus! right click File menu additions. I'd surmise that other such plugins may have the same effect. That's my guess. One last question, is Tag Plus! as complete and up to date as the full WMP Tag Plus! app? Hope this helps. Maybe ver. 2.0 will fix these? Regarding the first problem, I installed MS Plus! Digital Media Edition and WMP Plus! on my XP SP3 system, but didn't notice any problems at all. What's your version of AlarmClock.exe? I tested with version 1.0.0.2239. Also, did you install Plus! Digital Media Edition to the default location? Is there any chance that it was installed in the Windows Media Player folder instead? Does it hang when Windows is shutting down (with the Not responding-dialog), or at the subsequent Windows start-up? For the DW20.exe and DWwin.exe errors (these are actually crashes), I need some more information. Please go to Start - Run, type eventvwr.msc and press Enter. Go to the Application log, and look for Error events in the list, there should be at least one for each crash, and sometimes even two. Double-click each event corresponding to a crash, and press the copy-button to copy all information. Then, please send me a PM containing the information of these crash events. What's the difference between Tag Plus! and the 'full WMP Tag Plus! app'? There's only one version of the WMP Tag Plus plug-in. Perhaps you are confusing WMP Tag Plus with Windows Media Player Plus? Since DWxxx's are the error reporting progs of Win, there are no error reports generated! I'm assuming they are hooked into the altered error pages included in WMP Plus! I did not try the Tag Plus! features. Since the options were in the WMP Plus! options, I thought a pared down ver. may have been included. Maybe dimming those when Tag Plus! is not installed would help. Not all the text on the options screen are screenreader friendly. Some improvement there would help, as well. I have been a MSDN dev and IBM brat, so have been through all the avg TS steps, before posting. No confusion here. I'm short on time, but will try to keep up on this. I still haven't been able to reproduce the problems with Alarm Clock. I tried installing some updates of Plus! Digital Media Edition, but then Alarm Clock wouldn't even run, because I can't activate it without a serial. I did notice that the AlarmClock.exe process doesn't quit when I select Exit, but this happens with or without WMP Plus! installed. About the DW20.exe and DWwin.exe errors, you sure understand that this is far too little information for me to go with? I definitely need the technical information of these crashes, you should be able to get this by clicking something like Details in the error reporting dialogs. If you have done troubleshooting before, then maybe you know what crash dumps are? It would be great if you could send me the crash dumps of these crashes. I think that you are confused about the Plug-in properties menu added by WMP Plus!. This menu allows you to quickly access the properties of all installed plug-ins, not just WMP Plus!. So if you have WMP Tag Plus installed, it will appear in this menu. If you have the WMPKeys plug-in, it will be there too, and so on. Not all the text on the options screen are screenreader friendly. If you could tell me which text isn't screenreader friendly, then I might be able to fix this. a) rip the CD and let WMP auto populate the tags (so I get the correct contributing artists, track names etc, but with album artist usually set to 'various artists', the album title set to that of the compilation and the track number being the one on the compilation). b) use your "tag editor plus" to change the album name, album artist and track number. (However this doesn't always change the relevant fields in the "advanced" section (e.g. AlbumID) until I do something next like change the genre and then the advanced tags pick up the correct info - which is presumably a seperate issue). So far so good, when I do this to the first track it appears as only track of a separate album in the WMP library. What I want to do is rip compilation CDs and then re-tag each track with its original artist/album/track number etc. If that's what you want to do, then you do NOT want to use WMP to rip the CDs. The reason is WMP inserts a CD TOC (Table of Contents) in the tag for each track it rips, which not only allows it to permanently "remember" which CD each track was originally ripped from but also links all the ripped tracks together in the database. Change the metadata (album art, etc.) for one of them, and the corresponding field changes for ALL the media library tracks ripped from that CD. This makes editing tags of files ripped with WMP a batch process for albums, but as you've seen it results in some inconveniences. Another option, which I recommend more is to use EAC as the original ripping tool so you don't wind up with TOC tags in the first place. The reason is WMP inserts a CD TOC (Table of Contents) in the tag for each track it rips, which not only allows it to permanently "remember" which CD each track was originally ripped from but also links all the ripped tracks together in the database. I believe that it's the WM/WMCollectionID and/or WM/WMCollectionGroupID tags that are responsible for this. You can see these on the Advanced page of Tag Editor Plus, but unfortunately, they are read-only, so they can't be removed there. The only way to stop WMP from being able to recall the original track source is to remove the TOC tag, which is not something you can do within WMP itself. You'll have to use a 3rd party tag editor (I recommend Mp3tag) to completely strip the file(s) of all tags. Another option (that will preserve all normal tags) is to use ID3-TagIT. Select the file in ID3-TagIT, click More... on the right, go to Not supported, uncheck all PRIV frames, and click OK (you may need to remove the tracks from library first for this to work). In conclusion, the simplest workaround is indeed to use a different program for ripping CDs, as LANjackal suggested. Even if I did write a tag addon for Matroska, it doesn't appear that WMP Tag Plus hooks into it. (I am also running with the assumption that WMP Plus includes Tag Plus as a component.) So there's still the need to add the ability to use the tag editor on videos, and preferably also on files in the "Other Media" category. Just to be clear, Windows Media Player Plus! doesn't include WMP Tag Plus, these are two separate plug-ins. In the next major version of WMP Plus!, I might make Tag Editor Plus available for other media types, such as videos, but only the Advanced page will be shown. The other pages are too music-oriented, and most of tags in these pages are only available for music. WMP places the Matroska files in Other Media because it doesn't recognize the file type. To make it recognize them as video, a registry patch needs to be installed for WMP 11. For WMP 12, it seems that you need to install DivX Plus. Actually, it's not the file type issue -- with KLCP installed, WMP does recognize quite a few of my mkvs as videos and organizes them appropriately. So it knows that (at least some) are videos. However, it is not at all consistent about it; I have the exact same video in two different places on my system, one of which WMP has under Videos and the other under Other Media. With KLCP, do you mean Kazaa Lite Codec Pack? If so, I suggest that you uninstall that. The Kazaa Lite codec pack is notorious for damaging people's systems (which applies to most other codec packs as well). This isn't really the place for WMP support, but have you tried re-adding the videos to your library? I'm pretty sure that WMP 11 only looks at the file type for classification, in WMP 12 it could be different. If you still need help, you could ask this in the Windows Forums, more specifically in the Pictures and Video forum of your version of Windows. I strongly second this opinion. Codec Packs are nothing short of pre-built recipes for disaster. If you want multiformat codec support, just use VLC. I use WMP Tag Plus! with WMP12, but the Advanced Tag Editor option doesn't show up in the context menu. They are selected in the WMP Plus! 's configuration. And a different question: are you planning adding l10n support for your plugins? Hi - Well one thing that I'd certainly like to see (and not listed on the Wikipedia list) is to bring back the "Recently Added" tab to the the Music library. Given that I'm always adding stuff and often forgetting what I've added, I used to use this a lot, but it disappered in WMP 12. I think that you're confusing Windows Media Player Plus! with WMP Tag Plus. They are two completely different plug-ins, the difference between them can be clearly seen on my website. For the new tag editor, you need to download and install Windows Media Player Plus!. After installing, right-click a song in the library and choose Tag Editor Plus. No, not at the moment. For WMP Tag Plus, I don't really think it's worth it, given the minimal UI (most people will only see the plug-in settings once, or a few times at most). For Windows Media Player Plus!, perhaps in a future version. And what are the new features of WMP Plus!? Tag Editor Plus enhancements, such as editing multiple songs at once, and album art, lyrics, and comments support. A task bar miniplayer for WMP 12, similar to the one in earlier WMP versions. Some more new features will be added as well, but I prefer not to tell anything about them until the release. You can pretty easily create your own Recently Added list as an auto playlist. In WMP's library, click the arrow next to Create playlist and select Create auto playlist. Enter a name for the playlist and add the condition Date Added under Music in my library. You can then further customize the condition to something like Date added is after last 30 days or Date added is after yesterday. No i don't. I use WMP Tag Plus and Windows Media Player Plus!, too. But the Advanced Tag Editor option does not show up in the context menu. For Windows Media Player Plus!, perhaps in a future version. Okay, i can help with the Hungarian translation, that's why i asked. Can you see Windows Media Player Plus! in the Tools - Plug-ins menu (press Ctrl+M if you don't see the Tools menu), and is it ticked (loaded)? Thank you for volunteering to translate. I have noted this, and will contact you by PM when I'm planning to add l10n support.